The new year is upon you, and if you’re like many, you’ve got visions of this year being better than ever. Even if the actual holiday ringing in the new year passed by without you setting any resolutions or intentions, you might still harbor dreams of bettering yourself and improving your life. On top of this, chances are good that your new year’s resolutions would involve getting more physically fit. There are a multitude of reasons why you may have these particular goals, and honestly, it can be a combination of many different things. You may have always been unhappy with your image and physical shape, but it could also just be a desire to work off the holiday weight gain and extra desserts you packed in. You might also be looking forward rather than back, with an eye on the upcoming swimsuit season, which will surprise (and frighten) everyone as winter comes to an end. Who knows, maybe the calendar has nothing to do with it, or even the weight you see on your bathroom scale in the morning. You might just want to be in better shape, able to bounce through life with daily vigor and a strong, healthy metabolism, not worried about losing your breath, or not being able to pick things up, or suffering back pain or aches of any kind. It’s great if you’ve decided that it’s time to make exercise and fitness regular parts of your life, but is that going to be enough if you’re on your own? 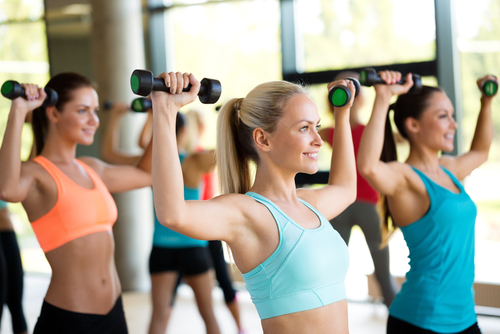 Are you in fact considering personal training? Personal training can be tremendously helpful as a motivator, to make sure you’re not alone on your fitness journey to creating your better self. No matter how good your intentions are right now, there are going to be times when you need that extra motivation to push yourself and go the extra mile. Also, you may not know how to work out effectively, or maybe you do, but your diet is the confusing part of the fitness equation. If traditional personal training isn’t your thing, you should also consider an online personal fitness trainer like CALIBER. Think of online personal training as a convenient shortcut, a way to avoid wasting your time on a bunch of workouts and diet plans that won’t work for you. With a good training program, you’ll be given specific instructions and told exactly what to do to get the results you want. Feel free to email me with any questions about whether or not getting a personal trainer is the right or even necessary move for your lifestyle, situation, and circumstances. As with all health and wellness matters, consult your personal doctor or primary care physician before starting any exercise routine or fitness regimen. You might hear this bit all the time and dismiss it as necessary for whoever is saying it just covering themselves from possible lawsuits or legal action. However, your doctor is going to be someone who can tell you just what kinds of exercise you’re currently capable of, what level you can exercise at, and which exercises you should avoid. He or she might even be a good source of recommendations or referrals to personal trainers in your area or where to start looking for them.